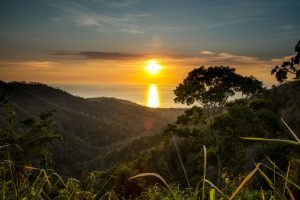 Locals to Costa Rica and permanent expat residents have all come to a conclusion: February is the best month of the year to visit Costa Rica. Right in the middle of the dry season, February comes with an extremely predictable weather pattern and almost no rains, yet still avoids the searing heat of the months to come. This doesn’t mean you can leave the sunscreen at home, however, parts of the country will be warming up quickly during this summer month. During February, you’ll have a chance to take part in any adventure excursion you wish, as all roads will be accessible and the weather won’t be canceling any tour plans. You’ll also have your pick of sunny beaches. Anything from water sports to sun bathing will be in its prime season during your February trip. Best yet, if you visit in February, you may be enjoying a steep discount on hotel and tour prices. Crowds come in December and leave in January, taking advantage of their winter vacations from school or work. Those who can fit in a February vacation, however, will participate in all the same activities, but with much fewer crowds and a significantly discounted price. The weather is perfect and the price matches, so if you find yourself with a free week in February, a trip to Costa Rica is all you’ll need to lift your spirits. The Northern and Central regions of the Pacific coast will be entering their hot months. While the sun warms up, you’ll be reaching highs in the low 90s every day, but not quite entering the sweltering heat which comes in later months. These temperatures will be warm and you’ll need to be prepared with sun protection, but they make for a great vacation. 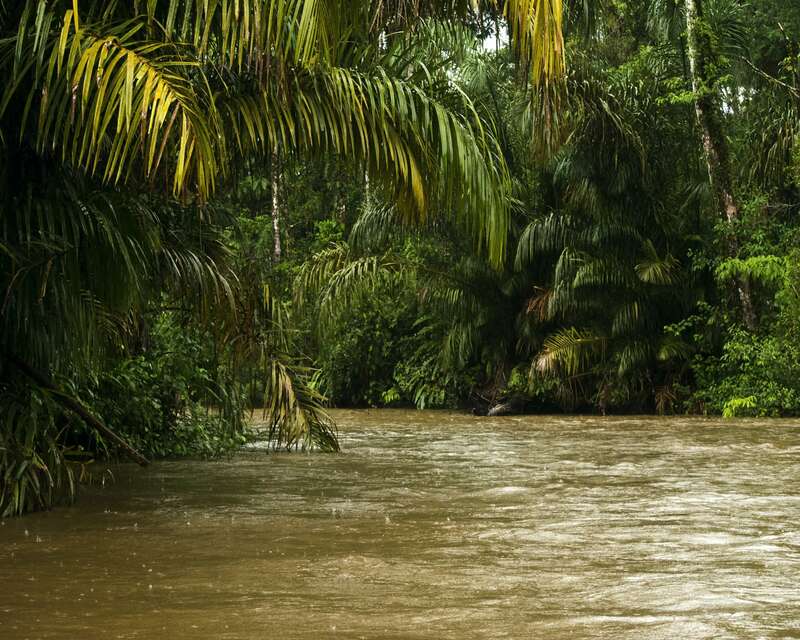 You’ll be leaving your winter months and arriving in Costa Rica in the middle of summer. All water sport companies will be fully operating, and long days at the beach will touch up your tan in no time. This is the most popular time of year for water sport enthusiasts to plan a Costa Rican getaway. There will be surf competitions up and down the Pacific, and jet skis will be easily found for rent. While the surfers get battered and bruised practicing their sport on the strong Costa Rican waves, their supporters usually tag along for a more peaceful vacation. In February, tropical fruit is busting from the ground, and all roadside corners will offer these fresh fruits for just pennies. The supporting team of a surfer often finds a tropical smoothie bar near their favorite beach and spends their vacation reading in the sand, drinking all-fresh, organic smoothies and watching the surf. In the night, the temperatures will drop to the mid 70s at very lowest, sometimes lingering in the low 80s. The nights will be warm, especially with your inevitable sunburn. Make sure your hotel has fans, and consider paying a couple nights in an air-conditioned room. The northern highlands are popular for their cloud forests. This destination is often used as an escape from the heat, as it can be rainy and cloudy for a large part of their winter months. By February, however, summer has begun. The region will be totally dry, but the cloud forests will remain visible and hiking will be like never before. In the highest regions, such as Cerro de la Muerte or Monteverde, you can’t expect the temperatures to rise above the mid 70s. Just a couple miles downhill, however, will bring you similar views but with temperatures up to 12 degrees warmer. The northern zone is a popular destination for the hiking-focused tourist. The area will have thick vegetation and multiple National Parks, and while many of these roads were unusable during the rainy season, by February they’ll be dried out and ready for hikers. Nights in the northern region will dip into the upper 60s. This means you may have to consider packing a light jacket for cozy nights, but no rain or very cold weather will be part of your trip. February in the Southern Zone is the driest month yet, with the lowest average of monthly precipitation all year. Temperatures will reach into the mid 90s and even nights will come with a warm wind. Your days will be hot and steamy, but this has never been much of a problem in the Southern Zone. This region, especially along the Pacific, is known for its resort style hotels and luxury tourism. Even if you opt for the least expensive option in terms of lodging, your vacation will be defined by swimming pools, white sand beaches, and hammocks under swaying palm trees. These steamy temperatures could produce a rainfall or two during your trip, but they are typically during the night and last less than a couple of hours. The rains won’t ruin your plans, but they will leave the region slightly refreshed by morning. You’ll want to take advantage of these post-rain mornings to enjoy a cup of local coffee and take a morning walk, the rest of your trip may be too warm to consider leaving your beach blanket. The Central Valley is active and full of energy, as many of the residents consider February to be the best time of year. Temperatures linger in the comfortable high 70s, and any rains will be infrequent and limited to the night times. During this month, the entire Central Valley region comes to full life. There will be tropical flowers and exotic animals everywhere, and the National Parks will be open and ready for local visitors. Monkeys prefer to sunbathe, so while they may have hidden away in previous rainy months, February will be their favorite time of year. Any jungle hike will be full of active wild life, and even from the bustling city of San Jose both exotic plants and animals can be spotted. The Central Valley experiences a huge range of elevation, so the temperatures will chance slightly as you move around. You trip will be dry, however, regardless of your location. 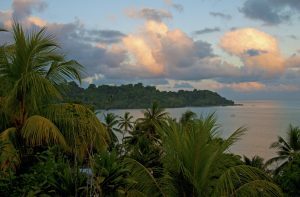 The Caribbean Coast boasts itself on being an entirely different experience from the rest of Costa Rica. The food is different, the music is different, and the weather is no exception. February on the Caribbean Coast is considered a rainy season month. Fortunately, these rains are light and less frequent. The temperatures will stay around the upper 80s, creating a rather humid Caribbean getaway. The countryside will be green and fruitful after months of rain, and any showers in February will more than likely be short lived. For those planning a Caribbean vacation, try to fit some hikes and park visits into your itinerary. The countryside will be green and the plant life astounding, so you may want to tear yourself away from the colorful beaches for a few hours. No matter where you decide to visit during your February vacation, you’re sure to find a warm sun and little to no rain. Your trip will be full of hikes, beach days, and tropical fruits.